Sheptytsky, Andrei [Шептицький, Андрей; Šeptyc’kyj, Andrej] (Szeptycki; secular name: Roman Oleksander), b 29 July 1865 in Prylbychi, Yavoriv county, Galicia, d 1 November 1944 in Lviv. Church, cultural, and civic figure; metropolitan of Halych, archbishop of Lviv, and bishop of Kamianets-Podilskyi. 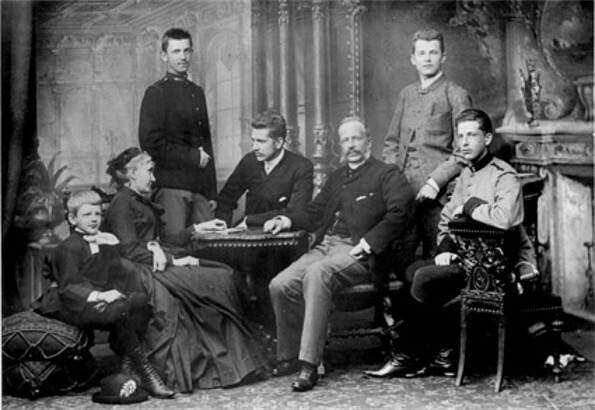 He was a member of a prominent Ukrainian-Polish noble family, which included several influential Ukrainian (Uniate) churchmen, on his father's side, and the Fredros, a prominent Polish family, on his mother's side. Although baptized in the Roman Catholic church, he petitioned the Vatican to change his rite and in May 1888 entered the Basilian monastic order's monastery in Dobromyl. In August 1892, after finishing his primary theological training, he was ordained by Bishop Yuliian Pelesh. He then completed his studies at the University of Cracow (PH D in law, 1894) and, in theology and philosophy, at the Jesuit seminary in Cracow. Sheptytsky quickly rose through the Greek Catholic church ranks: he served as master of novices in Dobromyl (1893–6), hegumen of Saint Onuphrius's Monastery in Lviv (1896–7), and hegumen and professor of theology at the Krystynopil Monastery. He also founded the journal Misionar (1897). 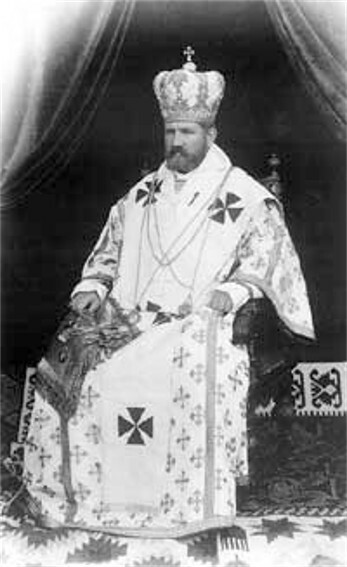 He was consecrated as bishop of Stanyslaviv (see Stanyslaviv eparchy) in September 1899 and was enthroned as metropolitan of Halych (see Halych metropoly), archbishop of Lviv (see Lviv eparchy), and bishop of Kamianets-Podilskyi in January 1901. He was also a member and vice-marshal of the Galician Diet (from 1901) and a member of the Austrian House of Lords and the Imperial Ministerial Council (from 1903). In these capacities he often spoke in support of Ukrainian rights in Galicia and agitated for the establishment of Ukrainian schools and a university. Although his proposals were initially met with skepticism by many Ukrainians in Galicia, who feared his conservatism and believed he had been placed at the head of the Greek Catholic church to help Latinize and Polonize it, his forceful defense of Eastern church traditions and rights and of the Ukrainian movement soon won him great support and admiration (his condemnation of Myroslav Sichynsky's 1908 assassination of Vicegerent Andrzej Potocki, however, conflicted with wide popular support for the act). 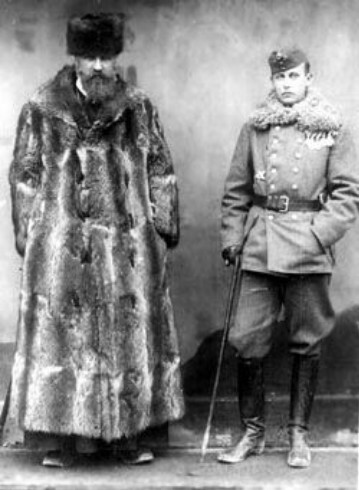 During the Russian occupations of Galicia in the First World War, Sheptytsky was arrested (September 1914) and deported. Distrusted by the tsarist government for his Austro-Hungarian loyalties, missionary Catholic zeal, and high standing among Ukrainians, he was detained, first in Kyiv and then in Nizhnii Novgorod, Kursk, Suzdal, and Yaroslavl, before being released after the February Revolution of 1917. He then traveled briefly to Petrograd and Kyiv, where he met with members of the Central Rada. 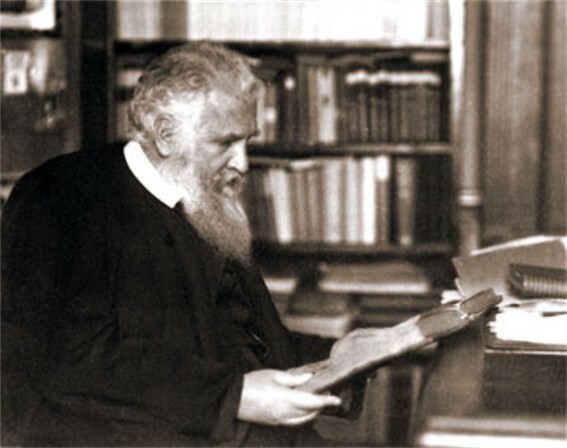 After his return to Lviv in September 1917, Sheptytsky quickly engaged in church affairs and the Ukrainian struggle for independence (1917–20). In his last speech in the Austrian House of Lords (February 1918), concerned with the Peace Treaty of Brest-Litovsk, he supported the transfer of the Kholm region to the Central Rada and the general principle of national self-determination. As a member of the Ukrainian National Rada he supported the creation of the Western Ukrainian National Republic and lobbied for recognition of the new state. For this stance he was put under virtual house arrest by the Polish government and confined to Lviv from November 1918 to December 1919. When he was allowed to leave the city, he traveled extensively for over two years throughout Western Europe and North and South America, visiting Ukrainian emigrants and rallying support for the Ukrainian movement in Galicia. He lobbied Western political leaders and Catholic officials, stressing the humanitarian aspects of the Ukrainian movement. When, during his return in September 1923, he entered Poland, he was detained in Poznań for his anti-Polish activities before being permitted to proceed to Lviv in January 1924. 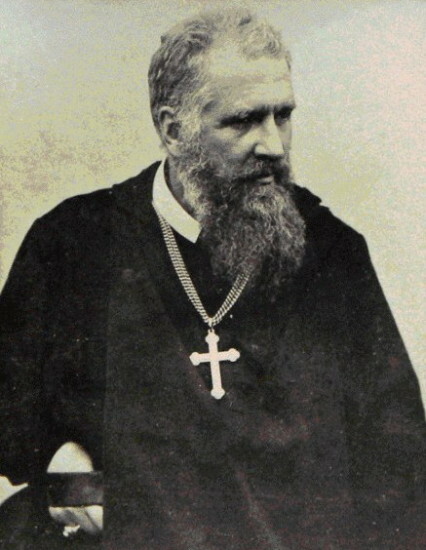 Sheptytsky's political influence among Galician Ukrainians was greatly enhanced by his activities during the struggle for Ukrainian independence and after. He maintained good relations with a variety of political leaders and organizations, particularly the influential Ukrainian National Democratic Alliance, and he spoke out against the Pacification campaign in 1930 and interceded with the Polish government both directly and through the Vatican. He also did much to reinforce the Ukrainian character of his church (although this caused a negative reaction from the Polish Roman Catholic church) and to strengthen its ties to the laity. In 1931 he sponsored the creation of the Ukrainian Catholic Union to further the church's teachings and social-political influence. He was denounced by the Ukrainian pro-Soviet groups in Galicia, especially after his strong criticism of the Famine-Genocide of 1932–3 and his condemnation of communism. His relations with the radical nationalist camp were also often strained, particularly when he criticized the terrorism and assassinations of Polish officials carried out by the Organization of Ukrainian Nationalists. Sheptytsky was an active and dynamic pastor who frequently issued pastoral letters commenting on a variety of religious and social issues. 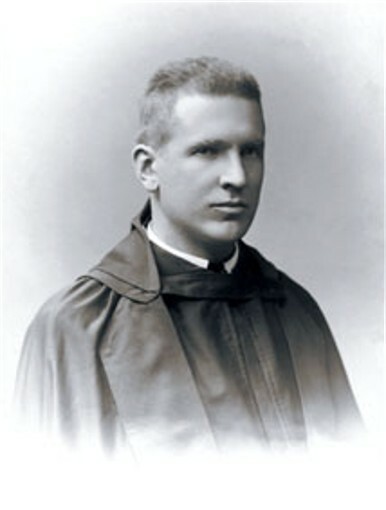 He convoked eparchial synods in 1905 and during the Soviet and German occupation of Western Ukraine (annually in 1941–3), and convened large meetings of Greek Catholic bishops (including bishops from Poland, Czechoslovakia, Yugoslavia, and North America) in Lviv in 1927 and in Rome in 1929. He also hosted the first synod of Eastern eparchs in Lviv (1940). In 1904 he established the Studite Fathers in Galicia; in 1906 he prepared the order's rules (the Typicon) with his brother, Klymentii Sheptytsky; and in 1913 he introduced the congregation of the Redemptorist Fathers into Galicia. He dispatched many priests to minister to Ukrainian immigrants in the Americas, and arranged the nomination of the first Greek Catholic bishops for both the United States (Soter Ortynsky in 1907) and Canada (Nykyta Budka in 1912). While attending the Eucharistic Congress in Montreal in 1910 he made his first visitation to Ukrainian settlers throughout the continent. In the interwar period Sheptytsky actively supported the Catholic Action movement and provided funds and other assistance for its various organizations and projects, and the Ukrainian Youth for Christ festival in 1933. In 1928 he founded the Greek Catholic Theological Academy, which soon became a leading center for the study of Eastern Catholicism. Sheptytsky was a generous patron of the arts, education, and various charitable causes. A church museum founded by him in 1905 grew to be one of the most important Ukrainian museums of its time. Later renamed the Ukrainian National Museum and the Lviv Museum of Ukrainian Art from 1913 it occupied its own impressive premises in Lviv. The museum acquired a large collection of icons, church artifacts, textiles, folk art, documents and books, and contemporary Ukrainian art, and published its own books and catalogues. 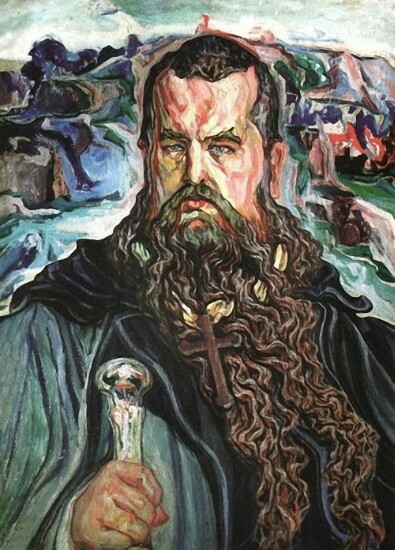 Sheptytsky was a benefactor of the Novakivsky Art School and provided financial support to such artists as Vasyl Diadyniuk, Modest Sosenko, Mykhailo Boichuk, Osyp Kurylas, and Petro Kholodny. In 1902 he founded the Narodnia Lichnytsia society, which later established and maintained a large modern hospital in Lviv. He also donated land for an agricultural school run by the Prosvita society in Myluvannia; cofounded the Land Mortgage Bank (1910); provided funds for the Prosvita, Ridna Shkola society, and other societies; and donated land in Pidliute to the Plast Ukrainian Youth Association, for a camp. Throughout his life Sheptytsky was especially concerned with expanding the role and prestige of the Uniate church. He first traveled to the Russian Empire in 1887 to meet with intellectuals (eg, the Russian philosopher Vladimir Solovev and the prominent Ukrainian historian Volodymyr Antonovych) who were favorably disposed toward the church union. Under the strong influence of the Jesuits, who were actively proselytizing in Russia, he maintained many contacts with individual Catholics there. His title of bishop of Kamianets-Podilskyi, an eparchy located in the Russian Empire but in fact inactive, gave him the right to claim responsibility for all Eastern rite Catholics in the empire. Pope Pius X acknowledged this right in 1907–8, and subsequent popes reaffirmed it. 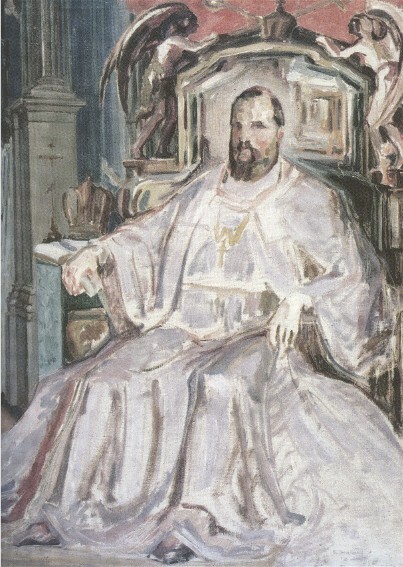 In 1907 Sheptytsky formally organized the Russian (Eastern rite) Catholic church and appointed the Russian A. Zerchaninov as his administrator of Eastern rite Catholics throughout the empire, and the next year he traveled incognito to Russia and Ukraine to make contact with Catholic and Uniate supporters. Later, during his brief detention in Kyiv in 1914, he managed secretly to appoint Yosyf Botsian as Uniate bishop of Lutsk (see Lutsk eparchy) and D. Yaremko as bishop of Ostrih. Before leaving the Russian Empire in 1917, he convoked a synod of the Russian Catholic church in Petrograd and appointed the Studite L. Fedorov as his exarch for Russia. He also briefly visited Kyiv, where he appointed Mykhail Tsehelsky as his administrator for Ukrainian Catholics in eastern Ukraine. In practice, however, Sheptytsky's efforts to establish a Uniate presence in the Russian Empire, especially eastern Ukraine, met with little success. The Russian Catholic church never attracted more than a few thousand adherents, and most Orthodox Ukrainians rejected the overtures, despite their great personal regard for the metropolitan (who always maintained good relations with such leaders as Hetman Pavlo Skoropadsky, Symon Petliura, and Dmytro Doroshenko). Metropolitan Sheptytsky's prestige was enhanced in 1938 when he condemned the Polish government's persecution of Orthodox believers and destruction of Orthodox churches in the Kholm region and Volhynia. Sheptytsky was somewhat more successful in improving relations with Western churches. From 1907 to 1927 he was a leading participant in a series of ecumenical congresses held in Velehrad, Czechoslovakia (see Velehrad congresses). He helped establish pro-union organizations in the Netherlands, Belgium, and even England, and he attracted several prominent converts to Eastern Catholicism. The Second World War was a difficult time for Sheptytsky and the entire Ukrainian Catholic church. During the first Soviet occupation of Western Ukraine (1939–41) he remained in Lviv and tried to defend his church; he issued several pastoral letters exhorting his faithful to resist the atheism imposed by the regime. Although much church property was confiscated and most religious schools and other institutions were closed down, the authorities did not harm the metropolitan because of his prominence and their still precarious hold over Western Ukraine. Fearing for the future of the church, in December 1939 he secretly consecrated Yosyf Slipy as his coadjutor with the right of succession. He also introduced several reforms intended to permit the church to function despite official restrictions. At the same time, however, Sheptytsky believed that the occupation of Western Ukraine presented great opportunities for his ecumenical work and the possible reunification of the Ukrainian Orthodox church and Ukrainian Catholic church. He appointed exarchs for Volhynia and Polisia (Mykola Charnetsky), eastern Ukraine (Slipy), Belarus (A. Nemantsevich), and Russia and Siberia (his brother, Klymentii Sheptytsky) and began to make plans to establish the Uniate church throughout the USSR. 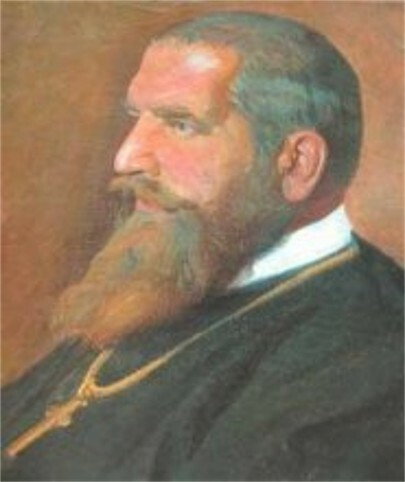 Although Sheptytsky did not sympathize with Nazi ideology, when the Germans occupied Western Ukraine he initially believed that German rule would be better than Soviet rule, and that it could provide for the establishment of an independent Ukrainian state (earlier, in 1938, he had welcomed the declaration of an independent Carpatho-Ukraine). In June 1941, as honorary head of the Ukrainian National Council in Lviv, 1941, he supported the creation of the Ukrainian State Administration and appealed to the German authorities to permit the establishment of a united Ukraine including all of eastern Ukraine. His optimism waned, however, when he realized that this would not be permitted, and when he witnessed the cruelty of the Nazis toward the local population and the Jews in particular (see Holocaust; Nazi war crimes in Ukraine). In early 1942 he sent a letter to Heinrich Himmler protesting Nazi treatment of the Jews and the use of Ukrainians in anti-Jewish repressions. He also began to provide refuge to Jews hiding from the Nazis and instructed his monasteries and convents to do the same. In November 1942 he issued a strong pastoral letter denouncing all killing, including the politically motivated assassinations carried out by competing Ukrainian parties. He remained active in Ukrainian political life throughout the war despite his failing health, and attempted to mediate between competing factions and to come to an understanding with Ukrainian Orthodox church leaders. He also supported the creation of the Division Galizien and assigned military chaplains to it. After the Soviets occupied Western Ukraine in 1939 and again in 1944, he remained in Lviv in order to preserve the church. Soviet attacks on the church were moderate until his death because of the recognition of his great authority. His public funeral demonstrated the continuing respect for him, but his death greatly weakened the position of the Greek Catholic church. Sheptytsky was a prolific writer on issues of church organization and history, theology, spirituality, ecumenism, and philosophy. As background for his proposed beatification, 22 volumes of his works were collected, 6 of which had been published or republished by 1989. 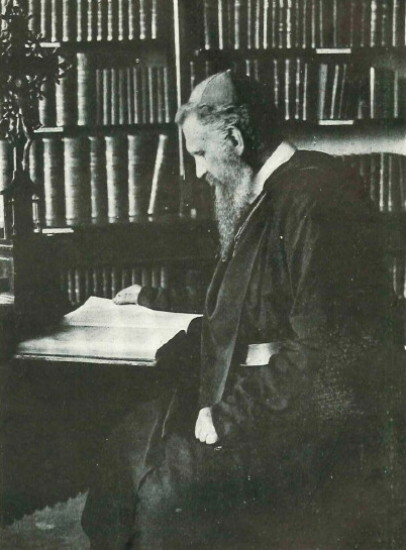 These were primarily Sheptytsky's pastoral letters and articles in newspapers, journals, and other publications, in Ukrainian, Polish, Latin, German, and other languages. The first volume of his pastoral letters, Tvory Sluhy Bozhoho Mytropolyta Andreia Sheptyts’koho: Pastyrs’ki lysty (The Works of the Servant of God Metropolitan Andrei Sheptytsky: Pastoral Letters, 1965), contains a comprehensive bibliography of his publications by A. Bazylevych. Two volumes of his pastoral letters from the period of the Second World War were published in Yorkton, Saskatchewan (1961, 1969), and three of his theological works were republished in Rome in 1978. In 1995 a collection of Sheptytsky's writings, edited by Andrii Krawchuk, was published in Lviv as Tserkva i tserkovna iednist’: Dokumenty i materialy, 1899-1944 (The Church and Church Unity: Documents and Materials, 1899–1944). His and his brother's study of Studite monastic rule, Typicon, appeared in French in 1964. In recognition of his scholarly work he was made a full member of the Shevchenko Scientific Society (1925) and of the Ukrainian Theological Scholarly Society. 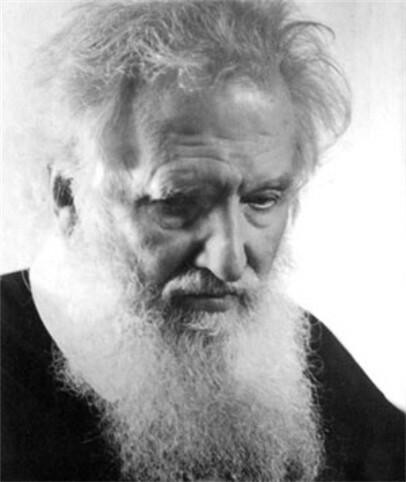 In response to Sheptytsky's great accomplishments as metropolitan, his work for church unity, his readiness to die for Christ, his fearless stand against Nazi and Soviet regimes, and his death in odore sanctitatis, a popular movement for his beatification arose in the 1950s, spearheaded by Archbishop Ivan Buchko, who appointed Michael Hrynchyshyn as official postulator. The first phase of the process was completed in 1968, when Pope Paul VI gave Sheptytsky the title ‘Servant of God.’ Since then, leaders of the Ukrainian Catholic church have continued their efforts to have him recognized as a saint, often in the face of opposition from leaders of the Polish Catholic church. 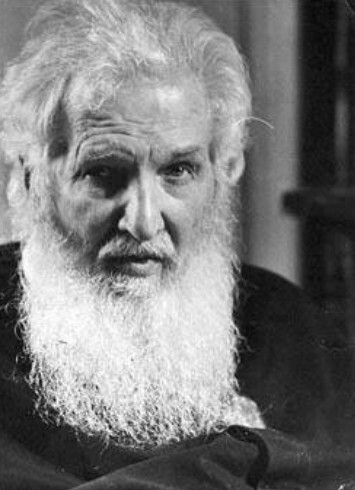 Sheptytsky was also vilified by Soviet propaganda. This vilification did not diminish his status in Ukrainian historiography, especially among Ukrainian Catholic scholars, and with the triumph of democratic groups in Ukraine in 1990 and the re-emergence of the Ukrainian Catholic church, he has attained great popularity in contemporary Ukraine. He has been the subject of numerous biographies, articles, dissertations, and collections published in interwar Western Ukraine, Poland, North America, Rome, and elsewhere. A referral to this page is found in 56 entries.